Mouth / oral cancer can occur anywhere in the mouth, on the surface of the tongue, inside the cheek, on the lips, in the gums, in the roof and floor of the mouth. In the tonsils, and in the salivary glands. Mouth or oral cancer mostly happens after the age of 40, and the risk is double in men according to women. To know the all details about mouth cancer or oral cancer such as it's symptoms, prevention and treatment, you can read the whole article, in this article we provided all the details which is related to mouth or oral cancer.. 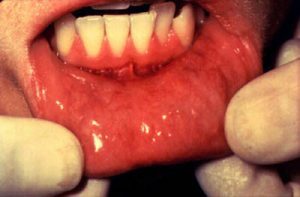 Symptoms of Mouth / Oral Cancer : There are many symptoms of Mouth Cancer, you can see or check the symptoms of Mouth Cancer which is provided below.. Causes of Mouth / Oral Cancer : According to the American Cancer Society. To get Chances of cancer double on men according to women. And men who are more than 50 they have high risk to get cancer. All causes of mouth or oral cancer are given below.. Smoking is the main Cause of Mouth or oral cancer. The Risk of mouth cancer increases significantly in people who smoke and drink heavily. Tobacco and Alcohol is also the cause of cancer. Both tobacco and alcohol are carcinogenic, which means they contain chemicals that can damage the DNA in cells and leads to cancer. Mouth cancer or Oral Cancer is more common in men than women, It may be because, on average men tend to drink more alcohol then women. Prevention Of Mouth / Oral Cancer : There are some precautions to avoid mouth / oral cancer, the three most effective ways to preventing mouth cancer developing,these are provided below..
Don't Drink more than the recommended weekly limits for alcohol. Eating a Healthy food and vegetable, that includes plenty of fresh vegetables such as tomatoes and citrus fruits, olive oil and fish.